It was a lovely Saturday morning in Dandelion Creek, the birds were chirping, butterflies were flying and the smell of freshly washed clothes radiated around the small village. Sorrel Cottontail had been up at the crack of dawn to make sure that her load of washing was the first to go up on the shared washing line. “Hello, hello!” spoke a voice behind her, she turned to see two cats standing there. “Why, hello there!” Sorrel replied to the man, surprised that a visitor was here so early. ” I am Patrick Dante and this is my fiancee, Primrose Keats. We are looking for a Mr. Alonso Macavity whom we were supposed to meet somewhere here.” Patrick declared. “Are you talking about me Sorrel? I have just finished…” Alonso Macavity announced, he had just finished his baking and had been looking for those two. “Mr. Macavity!” exclaimed Primrose in surprise, she hoped he had not heard what Patrick had said otherwise he would surely think that she and her finance were very impatiant. With that, the trio set off for the river. After fifteen minutes they had reached the river which, lucky for Primrose, was very calm and flat today. A canoe was tied to a pier and Alonso jumped in and Patrick did like wise. “Hold my hand darling, it is a bit unstable and wobbly at first” Patrick added, not to be outdone. Primrose gingery stepped off the quite solid pier and onto the wobbly canoe, gripping Patricks hand tightly as she did so. “Off we go!” Alonso exclaimed happily, undoing the knot as soon as both of his passengers were seated. Alonso steadily rowed the canoe right at the middle of the creek so not to get stuck on the rocky shore. The water was a lovely shade of blue and so clear and pure, if you wanted to, you could drink it just like that. 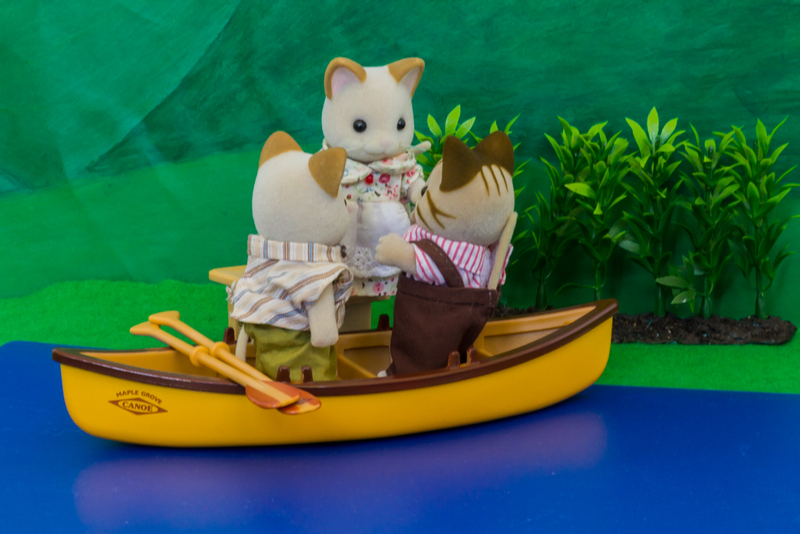 The canoe passed many landmarks, the big hill that the children called ‘Acorn Hill’ or ‘Snowflake Mountain’ in the winter, the Walnut Wood and of course, many, many fields which would soon be filled with dandelions. They saw the heart of the village at a distance at times too. “Now we are going to go to your campsite” Alonso announced. “Campsite? We are staying in a TENT? Patrick asked, confused and horrified. “Yes, in a tent” insured Alonso as he tied the canoe firmly to the pier. Alonso just looked at the flustered couple and helped them out of the canoe silently, walked off and motioned them to follow him. They did. “Wow” Primrose and Patrick breathed, looking around. A cat was standing at a brick barbecue and another cat was by a wheelbarrow with flowers, toast and potatoes. A table for two was set up. Flabagasted, they just stood there. “Welcome to your accomidation, if you would like something better, I can arrange something” Alonso said, breaking the silence which had descended umongst the clearing. Primrose Keats started to tear up, here they were in this very beautifuly decorated campsite with so many wonderful things done for her and Patrick. Not saying a word, she hugged Alonso and he immediatly knew what the answer to his question was. In a little while, Patrick was sitting across the table from Primrose, tucking in to a truly amazing meal. This was the perfect start to their time here in Dandelion Creek and it was only lunchtime, lots of exciting things were planned for them in the afternoon. Sipping on their champange, they felt more relaxed that they had ever been. Hello again! 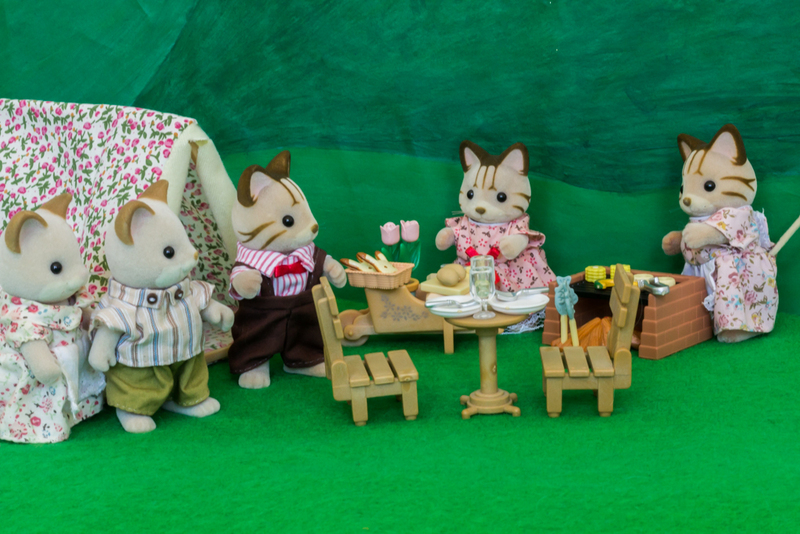 I know, it was ages since I last posted but now I am feeling more sylvaniany than ever! I hope that you enjoyed my little story and I have part two already planned. I want this wedding to be perfect for these two but I am a bit stuck for ideas for the wedding. I am making a flower arch but do you have any ideas on what else I can make? 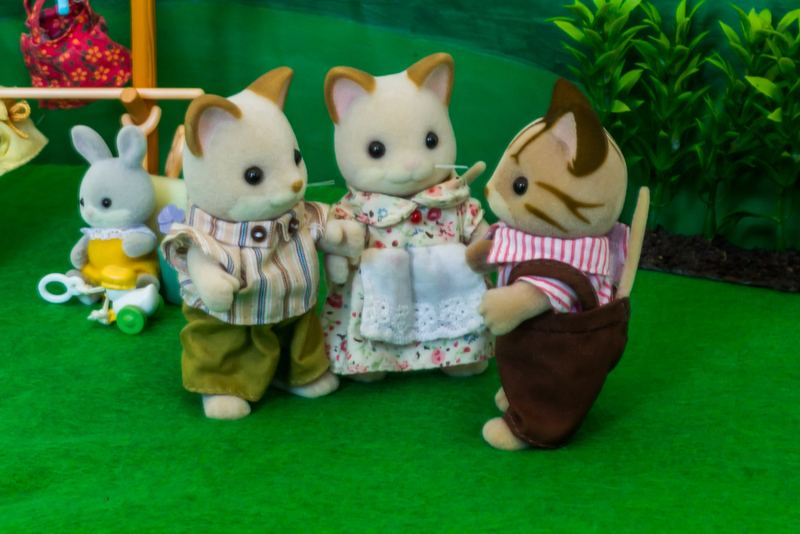 I´m so glad you feel sylvaniany again! I missed your stories and I´m delighted to read about Patrick and Primrose arrival to DC. I love your pictures. The colours are so bright.I love the river scene and the one of the campsite. That brick barbacue is very cute! I can´t wait for part two. As for ideas for their wedding I can´t think of anything in particular. I meant to have a wedding in Sweet Berry Valley but I still have to make the future couples to fall in love so I haven´t thought of arrangements yet. I used another camera and that made the colours look better. I am planning part two though their actual wedding will take place in June so I will write a part three hopefully. I have created a flower arch tutorial which I just need to add instructions to. 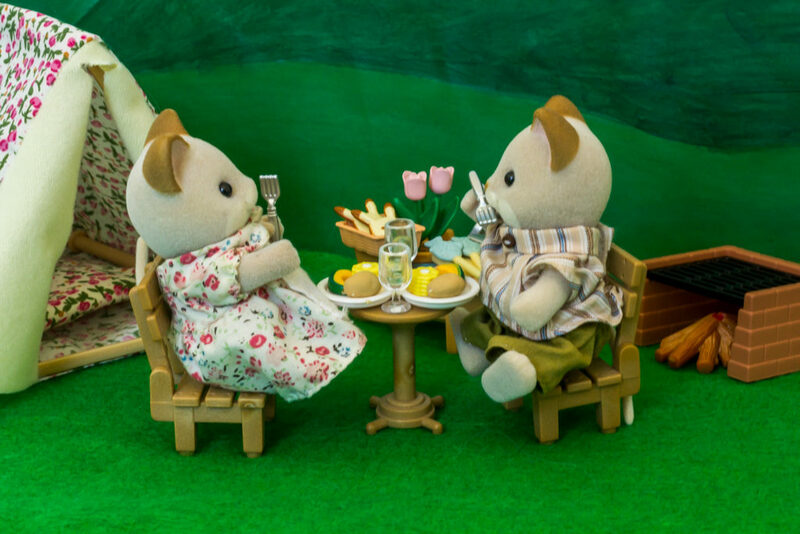 I hope you have some couples soon, I love reading about Sylvanian weddings and young love etc. I have decided on a colour scheme of purple and a cream colour as those are the colours that my fake flowers have. I would have liked it to be pink and white themed but I have a limited number of Playmobil flowers so purple and cream will have to do. I am sure it will look alright though. Thanks for a lovely story! I like the photos, especially the last one. Thank you Maria! I am happy that you like it! Aww they look so happy together. Can’t wait for the wedding. 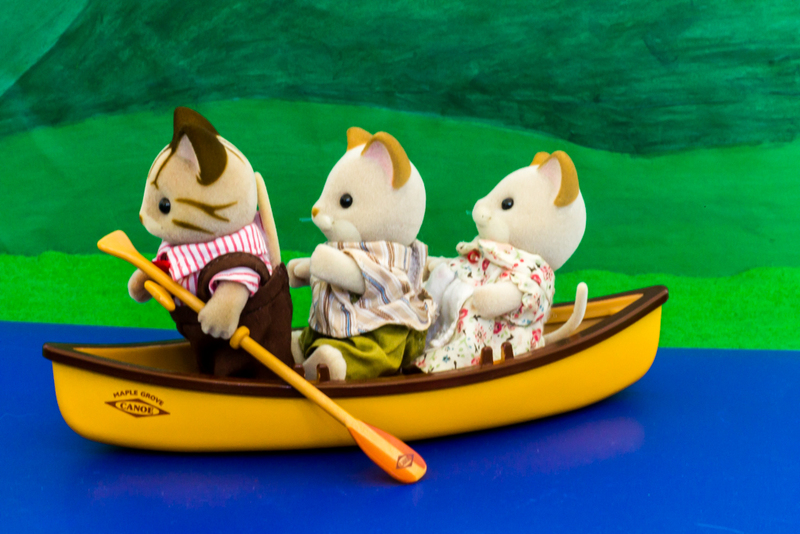 Ps Have you seen the new Sylvanian maple cats?! I love them! I always thought I wouldn’t really like them but now I love them! They are so cute and I love the outfits I have created by mixing and matching spare clothes. Yes, I have seen the Maple cats and more on the forum! They look nice but I don’t love the bright orange fur they have. I am also not such a fan of their silky clothes, they wouldn’t really fit into my village. I like the traditional SF cotton clothes as they have a nice feel and look good too. Do you like the Maple cats? 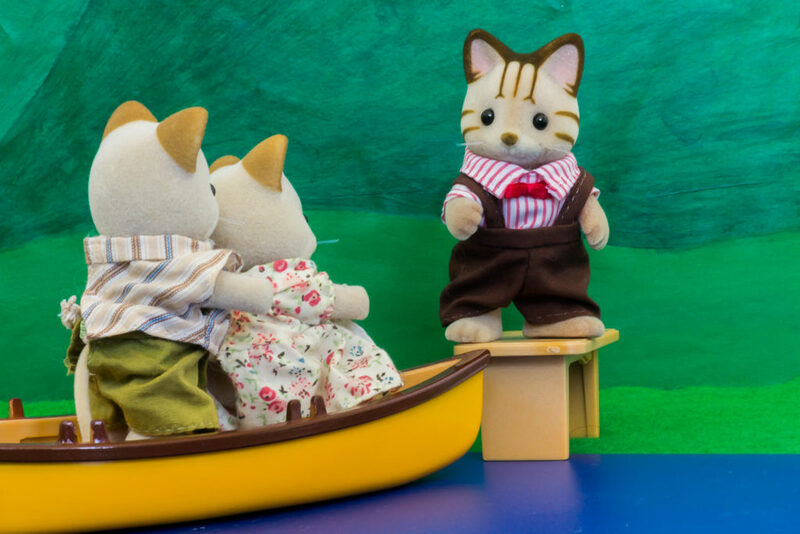 I’m a massive cat fan so I adore all of the sylvanian cats. I also prefer the cotton clothes- the silky ones get caught on things and go bobbly too quickly for my liking despite looking posh. I really dislike the texture of the fake “silk”. I am a huge cat fan too but these maple cats just aren’t my favourites. Lovely campsite and dark blue creek. I can understand that the couple wants to stay after all. 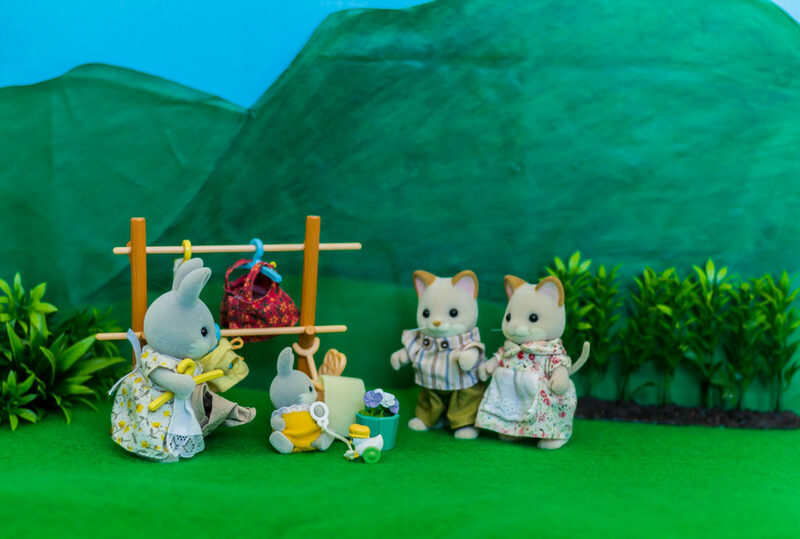 It’s a lovely place and the Macavities seem to have made sure to think of everything Patrick and Primrose might need. Love the Dante/Keats cats. Congratulations on adding them to your collection. For their wedding, maybe you could make them a deluxe wedding cake?? And a large tent or a circle in the grass for the guests to dance in. What a cute little story, I love your photos! So cute… makes me realise I use to much in one photo!! Hello there Lynne! Sorry for not seeing your comment earlier. Thank you for leaving a comment, it makes me feel warm and fuzzy! The Daily Dandelion: Buckley House Renovation: A Start! The Daily Dandelion: Buckley House Restoration: A Lot of Work!